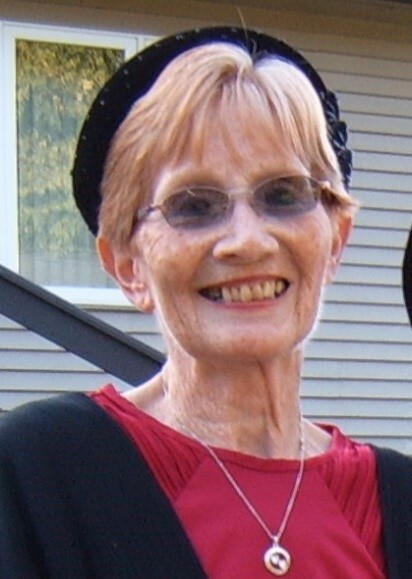 Diana Jean Chaterdon, age 76, went to meet her Lord and Savior and receive her new heavenly body on March 26, 2019. Born in Grand Rapids, Michigan on April 22, 1942, she raised her family and lived most of her life in the town of Lowell. She worked for many years as a school custodian for the Forest Hills School District and served her community, volunteering her time at Flat River Outreach Ministries. She was preceded in death by her husband, Richard Chaterdon, parents, Lester Blough and Beulah Blough (Fahrni), brother Terry Blough, sisters-in-law Cheryl (Forbes) Blough and Alice (Hamilton) Blough, brother-in-law Wellman Darling. She is survived by her sons, Paul Chaterdon, Bryan (Marcee) Chaterdon and daughter Christina Chaterdon Miel, grandson Christopher, step-grandsons Colyn and Alex Reed. Also surviving are two sisters, Sandra (Jerry) Holton, Donna (Norman) Dawson, two brothers, Jake Blough and Roger (Tammy) Blough. The funeral service will be held Tuesday, April 2, 2019, at 11 am, at Ada Bible Church 8899 Cascade Road SE. Ada, MI 49301 . Family will greet friends one hour prior. In lieu of flowers, please consider contributions to Flat River Outreach Ministries or the Lowell Pink Arrows.